We coordinate the system installation and provides ongoing tech support if necessary. The client begins to live more independently. 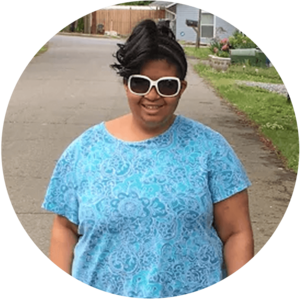 We have seen clients transition out of group homes, become able to manage their own medication, be empowered to gain competitive employment, learn new life skills using technology, and reach many other goals. David: graduated from a two-year program and wanted to live on his own. His mom wasn’t so sure about the whole idea. Laura and Vicki: wanted to live on their own, but needed some time to learn new skills. Anissa: has a condition that creates concerns about wandering or elopement. With enabling technology, her family has more peace of mind, and Anissa can experience more safety at home. Carl: had a longtime dream of living on his own. He just needed one person to believe in it. One month in, he couldn’t be happier.